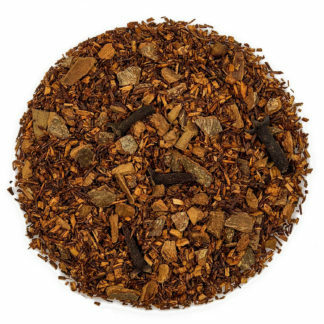 A warming blend for those crisp autumn days. 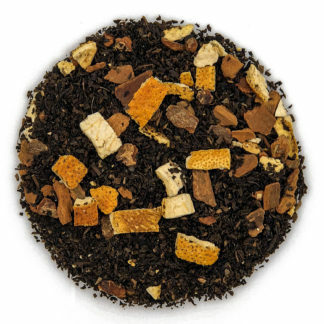 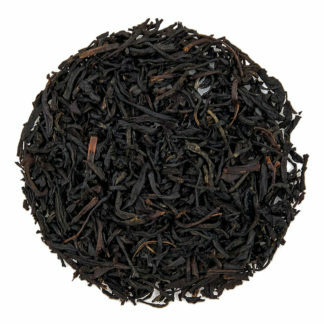 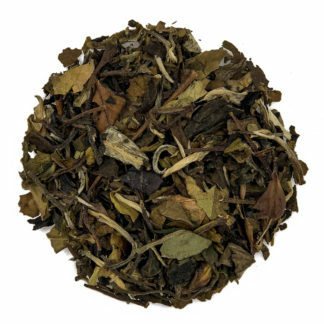 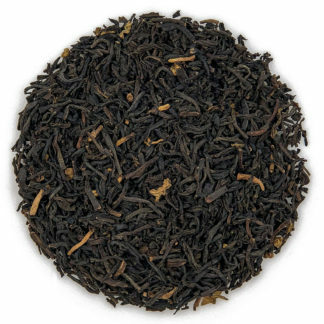 This tea has no caffeine and is a balanced blend of rooibos and honeybush combined with flavors assorted with pumpkin pie. 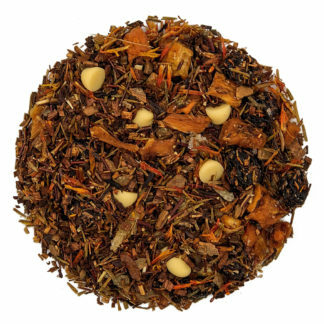 This rich and smooth cup is a sublime indulgence for the body and mind and can be savored at any time of day. 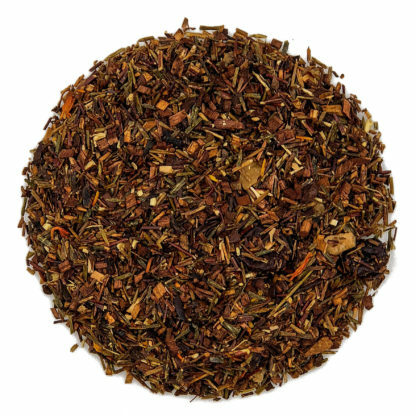 Ingredients: Rooibos, honeybush, flavor, cinnamon, currants, ginger root, candied ginger, pineapple bits,citric acid (max 1%), maple bits and safflowers.